When you are traveling, or in important work, or you are in a hurry, but you need to write something important. Just pick your Android smartphone and take a right notepad app for taking notes. You can find hundreds of notepad app, but you need to find out the correct one. There are many notepad apps with different features and for different purposes. Otherwise, you could face the problem. 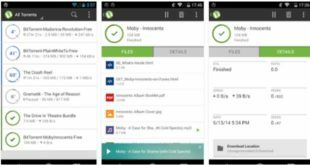 For your demanding app, we reviewed the 10 Best Notepad App for Android Smartphones and Tablets. With a perfect app, you can take notes anytime anywhere. Carry your easy and efficient notepad with you and enjoy taking notes. No doubt, you are going to have a new experience. So let the app make your task more comfortable. Evernote is one of the Best Note-Taking App for Android. 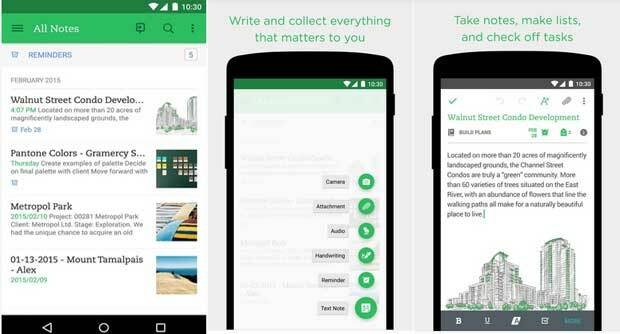 When it comes to take note or choose notepad app, Evernote is one of the best choices for Android user. With lots of features, Evernote is all set to do your note taking to another level. You can add your notes in almost every format, like text, sketches, photos, video, audio, PDFs, web clipping, etc. Evernote allows you to use your camera to take photos for the scan. When you are not in the mood of writing, you can record your notes in any format. After type a note, you can attach Microsoft Office Docs, PDF file, photos and can organize your receipts, bills, and invoice. 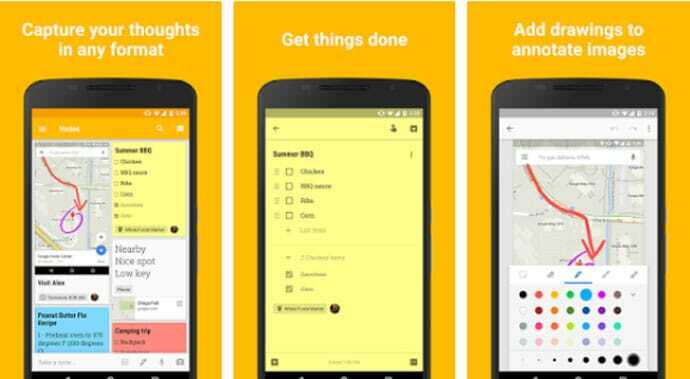 Google Keep is another Best Notepad App for Android Smartphone and Tablets. Google Keep is a fast and easy Notepad app with some great features. Capture what’s on your mind in a various way, add notes and list, take photos, record voice, and much more. When you are taking notes add color and level. You can also keep something to remember at the right time and it can be location based. The user can share their thoughts and ideas with their friends and family members. It has a simple quick search system to find out your previous notes. OneNote is what you want for note taking. 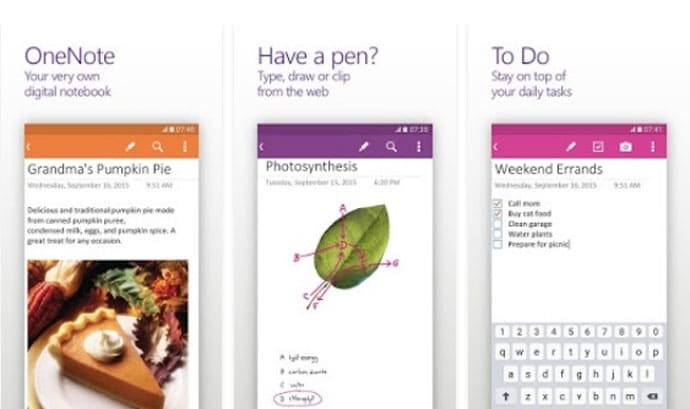 Microsoft’s offers you a great notepad app for your daily personal and professional work. OneNote provides all the features for taking a perfect note. OneNote sync with your Windows PC, your Android phone, so you can use from anywhere, and you can share your notebook with your favorite one. Team meeting or school project, OneNote is there for your help. 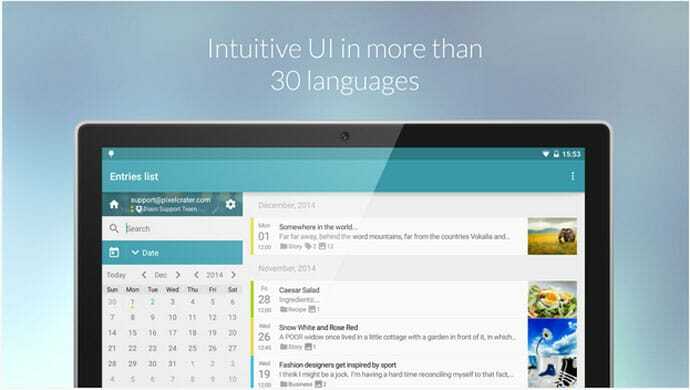 ColorNote is a very popular and one of the Best Notepad App for Android over the world. It’s a very simple app with basic tools for your daily life. 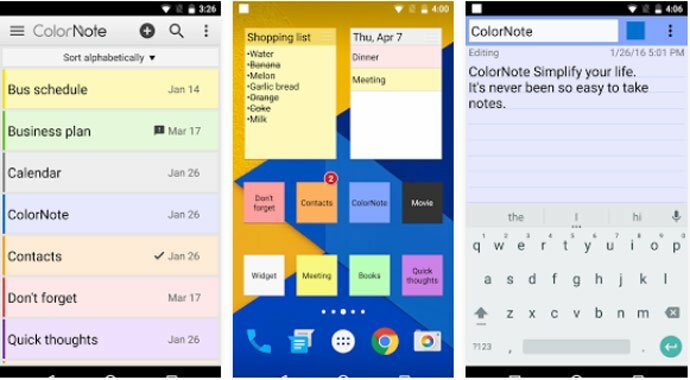 Organize your note by color and it has a sticky note widget. You can make a checklist note for your shopping and can organize your schedule by note in the calendar. Password lock system for private notes. SD storage for backup. Status bar for reminding about notes. Simplenote is kind of easy and quick app. It follows the easy way to keep your note, and it syncs your note with your all device. You just need to open it and write something and you are done. 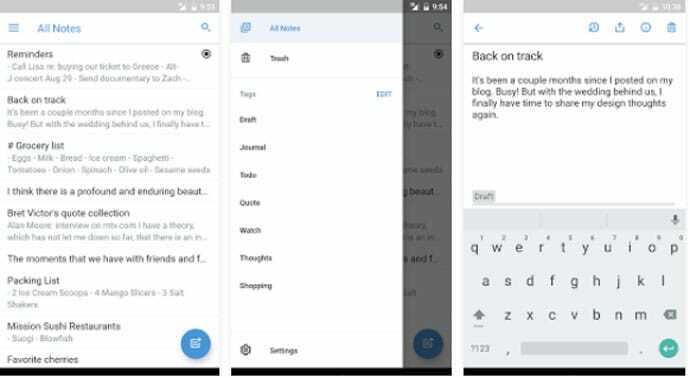 After taking note, you can search for your previous note by keywords. It has history feature for your note, and for this history feature, you can restore your deleted notes. Day-by-day when your notes increase, you can organize them with tags and pins. Inkredible is a different app for taking note. If you are interested in writing something through you handwriting than this one is the perfect one for you. It’s an amazing app to improve your handwriting, as well as your note taking experience. It’s colorful, high resolution so that you can zoom it for show or print out. With the super cool graphics design, it becomes very beautiful. You can use this one for enjoyable note taking. Let’s introduce you to another best notes app for Android users. Memo alarm reminders for your to-do list. Handwriting and voice recording are available in this app. You can lock each and every note with a different passcode without locking the app. Write your note with a different style of text and font. Even some MS word options are also available in this app. Sticky note widget for your home page. Add photos to your note and can change the theme with your mood. Offline backup for your notes to use when you are out of network. Diaro is a very powerful notepad app with tons of features. The user can have very useful apps for their note taking. Diaro supports more than 30+ language. So you can create not in your own language. With the basic tools, Diaro offers you some advance tools too. The features you want like, security for your notes, folders for different entries, backup, sharing option, notification bar for quick entries, location detection for new entries, multi-window moods, etc. Squid is not a popular app, but it’s a useful app with natural handwriting features. It comes from the top developer of Google Play Store. You can use different size of paper for your note. The basic tools for writing are available. On the other hand, advanced tools are also available. Adding note is very easy with undo/redo, select, move, resize, cut, copy and paste options. Import images and crop and resize it by your demand. Squid has also a premium version, but if you are not interested you can carry it with the free version. Sticky notes are like a notice board with a digital touch. Colorful and multi-tabs for your notes. The widget is more useful for quick notes. Handwriting option with various size of paper. Tow memo holders with six background and full-text tool, you can also set your notes in three rotating angles. After taking notes, you can share it as a text or drawing. All things considered, Sticky Notes is a simple note-taking app with basic tools. No doubt, Smartphones are giving us so many options, Note taking is one of them. In our everyday life, we take notes frequently. 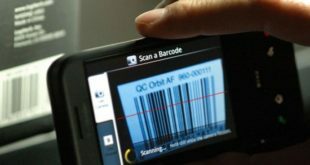 It became more easy and quick with a smartphone and useful apps. For this reason, our expert recommends you these 10 Best Notepad App for Android lovers. Choose the best one for your note taking. 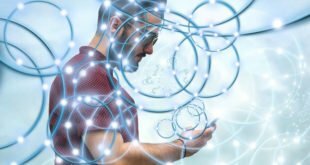 Really these are best notepad apps. I don’t like by-default notepad given in android mobile. I mostly use Google Keep.